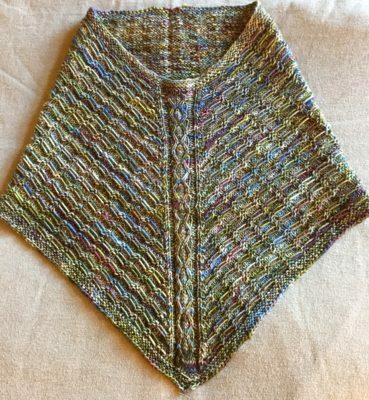 The Wired Cowl is knit to look like a triangular shawl worn as a kerchief, but without the fuss of getting to sit right and stay on. Here are two ideas for how to block it. I’ll start by posting what I did. Step 1: Soak it and use blocking wires or pins. Fold it in half as shown here. When stretching it out at this step, pay attention to the measurements for height and for the circumference of the top and bottom. 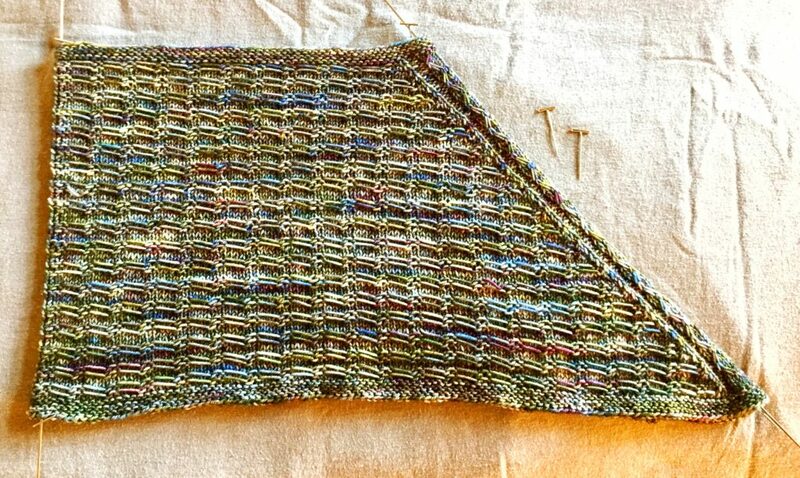 Step 2: Blocking as above will make a big fold line down the cable, which is not the final look we want! Rearrange it so that the cable is centred. You want to pin it out at the bottom point to sharpen it up. See below for a close up. Either steam it, spray it, or lay a damp towel over it. Here’s how a tester blocks her cowls, and I think it’s brilliant. Her Ravelry name is Yayalovestoknit. 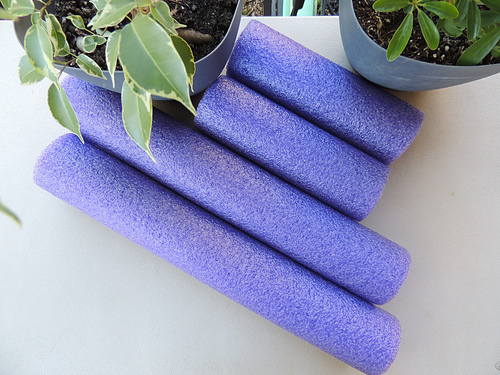 She bought a pool noodle and chopped into different lengths. She inserts them into circular projects to help them dry faster and without fold lines. The foam even holds pins if you want to block out points or coax some extra depth out of it. 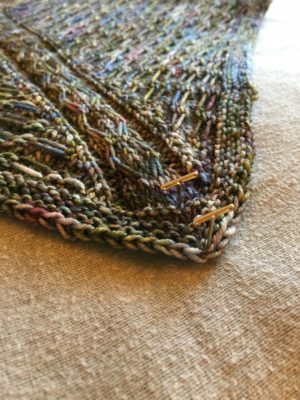 I may be changing my blocking strategy! More tutorials on the tutorial page.